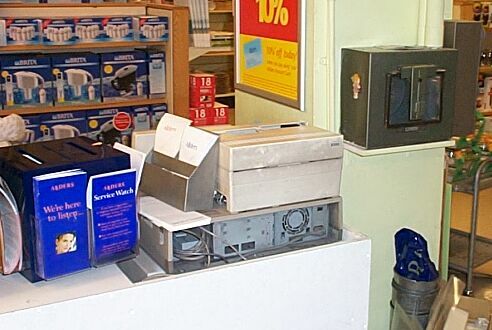 "For facilitating rapid communication between the shop assistants and the central cash office, the Lamson vacuum pressure system, with 50 stations in various parts of the building, has been installed." A retrospect 1876-1910. (London: Arding & Hobbs, ). 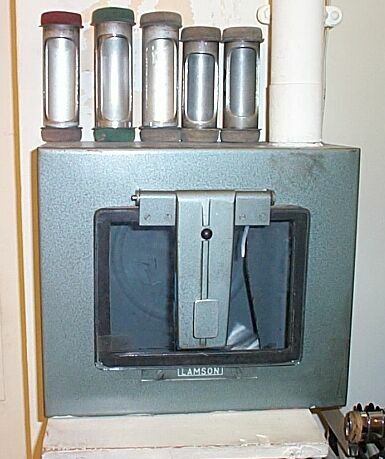 Arding and Hobbs at Clapham Junction, London SW11, still had an operational Lamson pneumatic tube system in February 2003, with at least eight stations. They were not being used to make change, but were used for "customer service" including bulk transfer of cash to the cash office. This is station 28 in the kitchenware department, at the bottom of the escalator in the basement. The stations were of the "Pneu Art" design. The outgoing and incoming terminals are enclosed in a metal box. It has a hinged glass front with an air-tight seal. 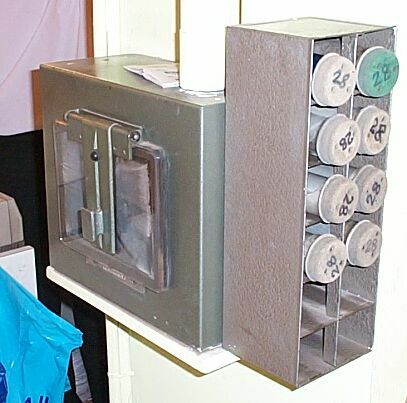 Some stations had a set of pigeon-holes in which the carriers were stored. Old and new equipment at the sales point. 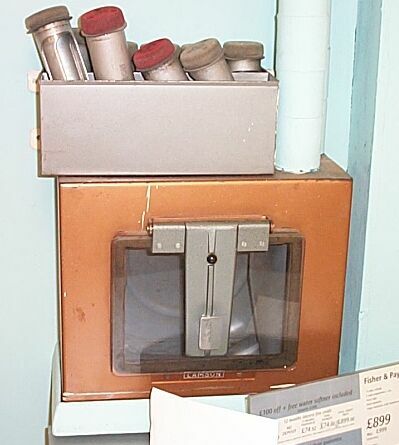 The store was undergoing refurbishment and the pneumatic tube system was about to be removed. This station is number 18 in the basement, by the dishwashers and cookers. It has a copper-coloured finish. Hammond mentions that Harrods had bronze-coloured stations in their men's outfitting department. There are two sizes of carriers kept on top of the box at station 21 on the first floor, by the ladies' knitwear. The carriers all appeared to be aluminium. 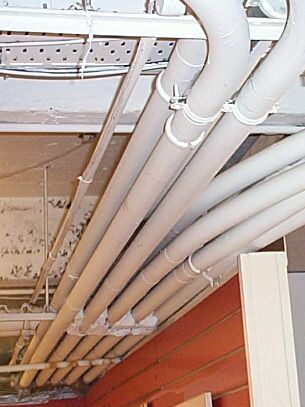 Five pairs of tubes converging below the basement ceiling. The supports could have held a lot more originally. 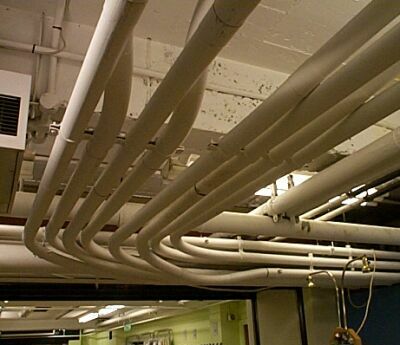 Tubes making a right-angled bend in the basement.